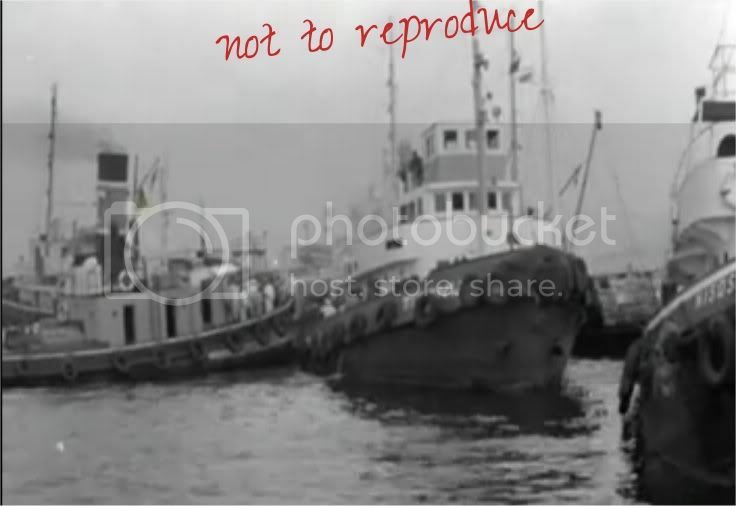 I am starting this thread, to bring to your attention some lovely old tugs from Piraeus. I would really appreciate any thoughts that you might have on their identity. 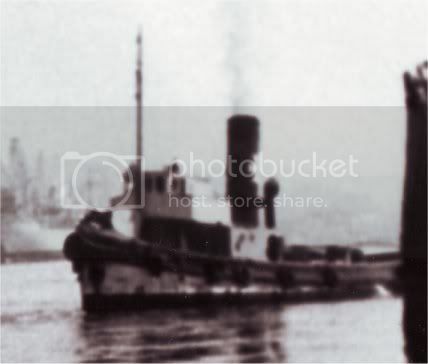 Here is a first one, the photo being taken in the 1950s and it depicts a Matsas-owned tug. Any ideas which one it might be? No idea as to which tug she is...but a great topic!!! Keep the info and pictures coming!! ...Cheers...and Welcome Aboard the Forum!!!!!!!!!!!!! Thanks! So, here is another one. Also unknown - to me - she was pictured in 1961. Except for the exhaust vents she looks like an ex-Alexandra tug of Liverpool.....could she have been the 'North Loch' or 'North isle' ? Here is the NISSOS SYROS, pictured in 1967 assisting the fire damaged freighter ATTIKI. 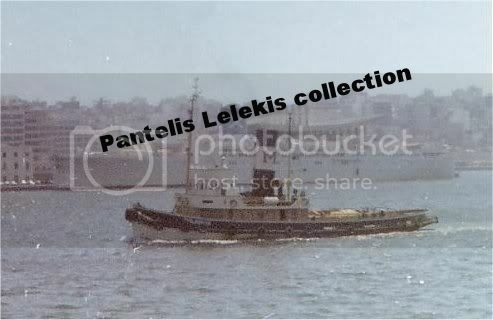 Judging from her funnel colours -and "Nissos" prefix- it must have been a Tsavliris tug. Any ideas on her story? Next to her, some other tugs also assist. Minotauros, Welcome to the forum, the Nisos Syros was built as the Empire Mustang 1943, in 1947 sold to Tees Towing and sold to Newport Screw Towing Co and renamed Duneagle in 1958, sold to Tsalviris renamed Nisos Syros in1965 Reported dismantled in 1976.
the one in the background is the Tolmiros ex Napia ex Empire Jester. 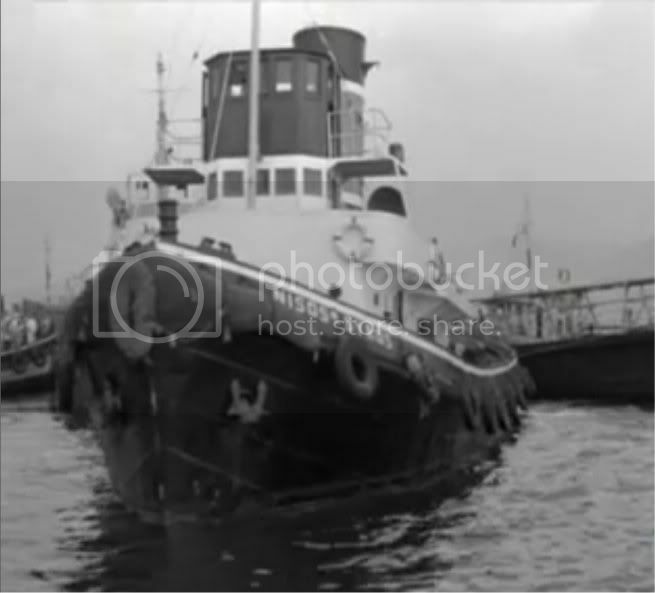 one of my mostest favourite tugs. one when she was first out there and one of her later. Thanks for all of the really great pictures everyone. This is turning into a really great thread. Thanks Fred for the tip on Nissos Syros! Well I would say that you have every right to call it a favourite. 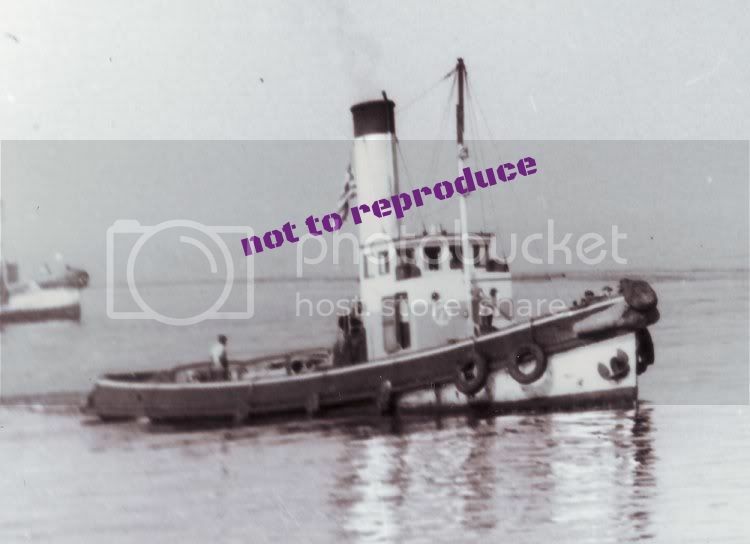 She was a great looking tug! Here she is, in a photo given by a dear friend, with Chandris' Regina Prima in the background. She lasted until scrapped in 1986.